A very important exceptional Mystery Art Deco 8th day mantel clock with great history. 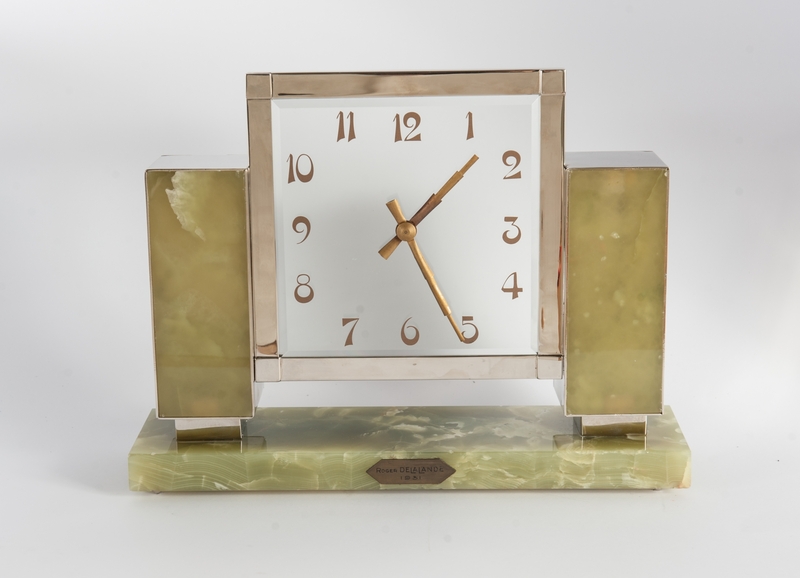 The clock was specially made in France in 1931 for an exposition of inventors in Paris and won the 1st prize 2 times. 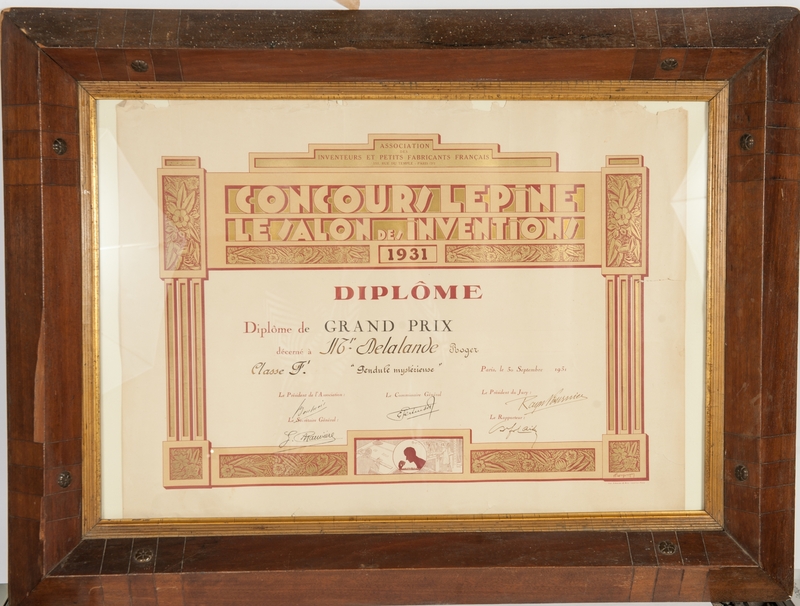 One time on the exposition 1931 and in 1932 the second one. 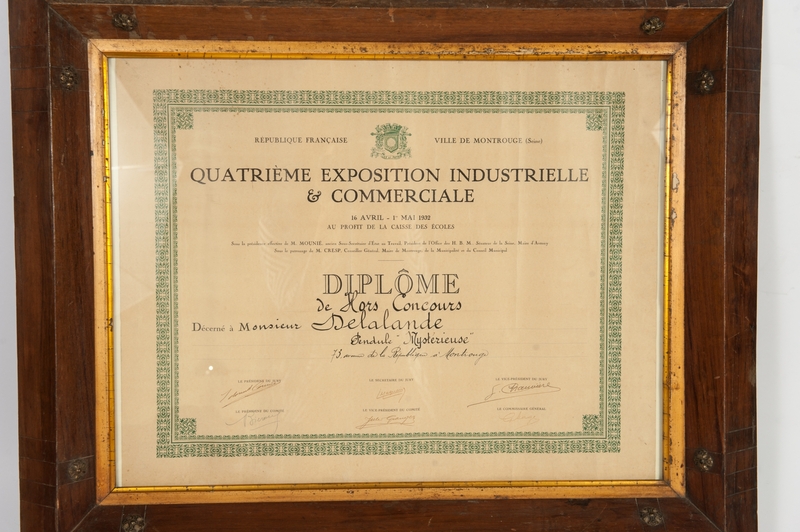 The second one was the 4th Industrial and commercial exposition in Ville the Montrouge. 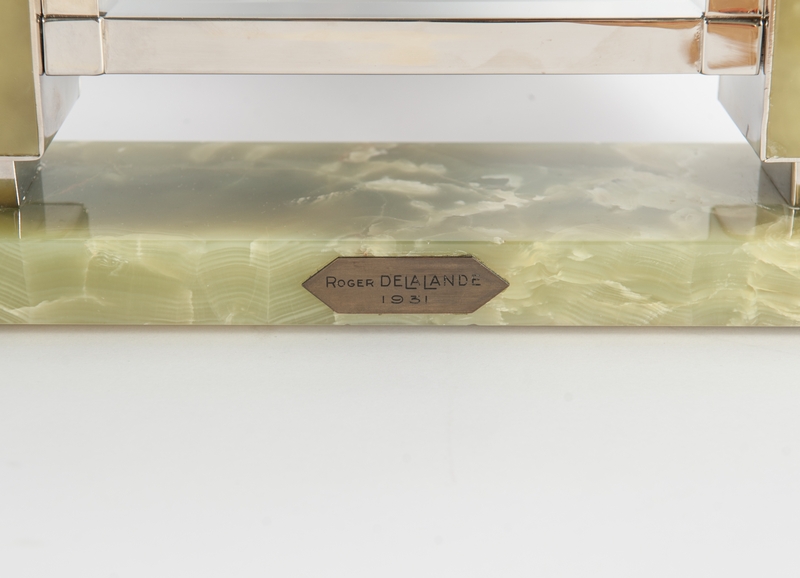 The designer and maker of the clock is Roger Delalande. 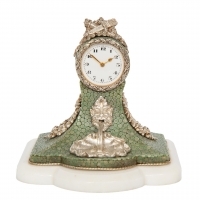 The clock is signed on the Onyx base on the front. The mechanisms are in the two side pillars. The numbers of the dial and the hands are very nice Art Deco. The clock runs 8-days. 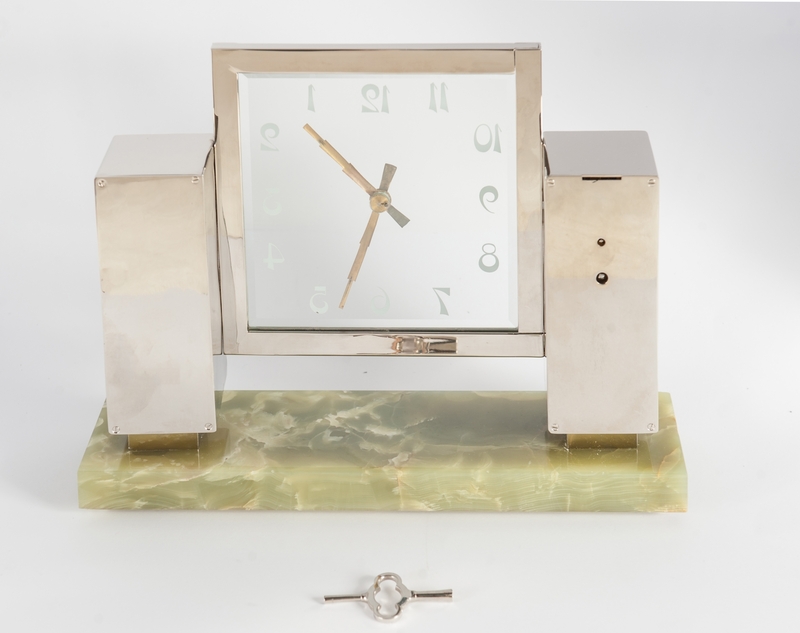 Together with the clocks are two certificates in Art Deco wooden frames.